Institute of Non-Ferrous Metals is in R&D on soft magnetic materials obtained via melt-spinning method in the form of the ribbons and final wound cores. The nanocrystalline structure and the associated magnetic properties are shaped according to desire application by subsequent annealing. 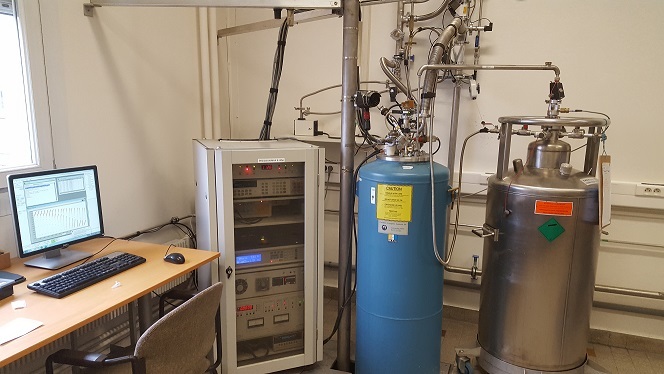 Bulk magnetic materials possess magnetic properties which can be measured using a wide set of experimental set-ups allowing to control the temperature (2K-850K) and applied magnetic field (up to 10 T) during measurement. Institut Néel Grenoble-INP perform such analyses in order to control materials, for example the magnetization of permanent magnets or their coercive field. They are also used to control the evolution of properties in the required temperature range i.e. the temperature dependence of magnetisation induces a temperature dependence of stray magnetic fields. On the other hand a non magnetic material has always a magnetic response which can be evaluated to assess the impact of this material on the environment. These measurements can be extended to low signal materials using finer magnetometry (typically films and particles magnetometers).